Distributed over $20,753 in IH Scholarships to 27 recipients so they could attend Camp Blessing, Camp CAMP, JoyRide, SIRE, and Panther Creek Inspirational Ranch. 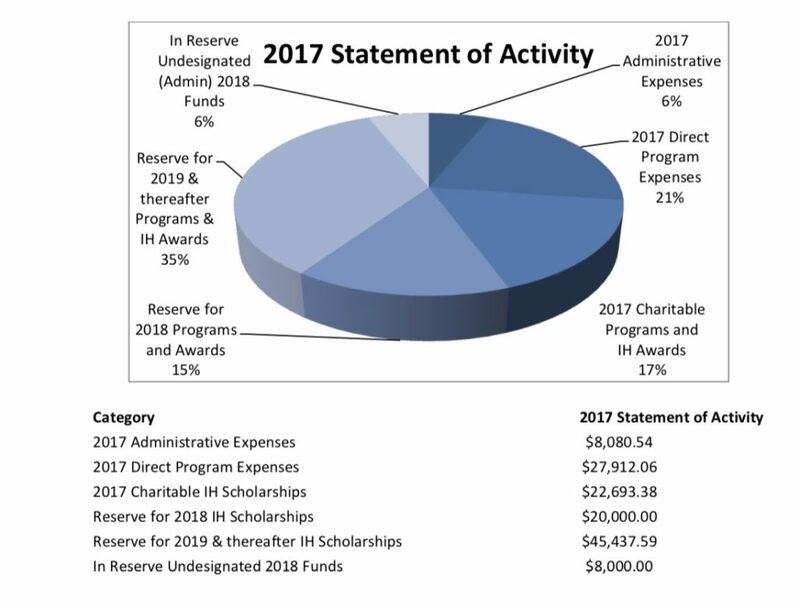 With these scholarships that brings the total awarded IH Scholarships to over $60,000, and 76 recipients since its origination in May of 2015! The Inspiring back to school drive provided over 32,000 granola bars and zip lock sandwich bags and almost 200 backpacks and miscellaneous school supplies to needy students and preschool aged children in Houston. Our Holiday Wishes drive granted the Christmas wishes and meals to over 40 children and 4 complete families in need. Countless volunteer hours at area shelters, The Giving Gown Foundation, Kids Meals of Houston, Inc. and more! None of what we have accomplished thus far would have been possible without the support of our sponsors and donors. Inspiring HANDS, Inc. is 100% volunteer operated and fully funded by donations. Therefore, the support of community partners is critical to the continued success of our programs. We thank you for your generosity and for partnering with us. We are accomplishing our goal and directly helping individuals in our community. Thank you! Please join us each Fall for our single fundraising event, Come Together Extravaganza, benefiting Inspiring HANDS, Inc. Scholarship fund. Sponsorship’s are accepted year round on our website at www.inspiringhands.org/donate Not only is tax deductible, your contribution makes a positive change in the lives of others.